Over at Microsoft’s big Ignite event in Orlando, Lenovo has announced a new all-in-one device for the company meeting room, designed to easily facilitate Skype for Business videoconferencing. 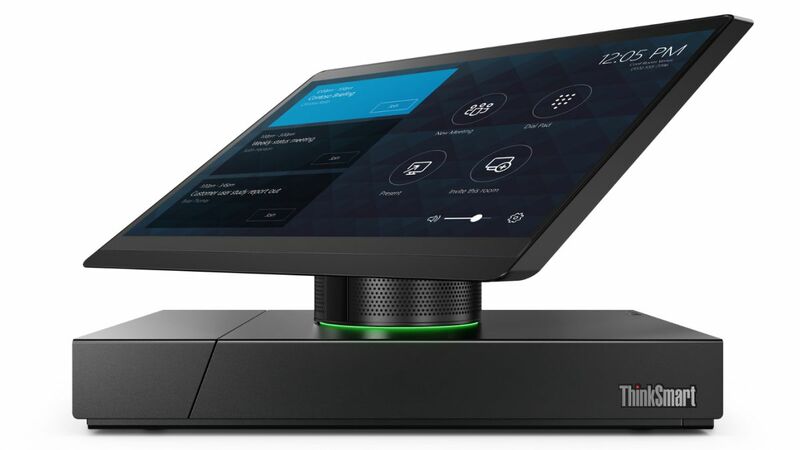 The Lenovo ThinkSmart Hub 500 is a Skype Room Systems device, which is simple to set up, and allows for easily conducting Skype meetings and sharing content with local and remote participants. It does all this with a minimum of fuss, avoiding the time-wasting fiddling with laptops, cables and such which can often disrupt the start of a meeting session. Lenovo built the Hub in conjunction with Microsoft, and it consists of a base unit with an 11.6-inch touchscreen which is mounted on a fully rotatable 360-degree stand. It also benefits from an array of 360-degree microphones and Dolby Audio Premium sound, and is portable enough to be easily moved to any meeting room. On the software front, the ThinkSmart Hub runs Windows 10 IoT Enterprise. The Lenovo ThinkSmart Hub 500 is now available in the UAE for a starting retail price AED 7,399/.